The billionaire thinks the conservative icon would object to National Review’s “Against Trump” issue. But Buckley decried Trump as a demagogue. National Review, the often-defining voice of conservatism over the past six decades, the favored publication of Ronald Reagan and of those who claim the Reagan mantle, has pulled out all the stops in the battle to avert the nomination of Donald Trump by the Republican Party. Conservative elites do not want Trump to define conservatism. Good luck with that. There’s a fair debate to be had about whether Trump is imposing a definition of conservatism or merely amplifying themes that have been ever more present on the right fringe of a movement that has tried too hard to adjust itself to the demands of an angry “Tea Party” faction and an absolutist House “Freedom Caucus.” There can also be a debate about whether grassroots Republicans, churned up by years of talk-radio ranting, are as put off by Trump’s bullying tactics as conservative elites seem to imagine. Whether the publication that has presented itself as “America’s most widely read and influential magazine and web site for conservative news, commentary, and opinion” will play a part in derailing the front-runner for the nomination of the party it has so frequently influenced over so many years is open to question. The answer to that question will tell us a good deal about our evolving media and our evolving politics. It will also tell us something about who gets to define conservatism. The point of National Review’s intervention is to suggest that there remains a mainstream and reasonably responsible conservative tradition in American politics—and that Trump is not a part of it. National Review has intervened with this purpose before. The magazine’s founder, William F. Buckley Jr., challenged the far-right John Birch Society and its allies in the early 1960s, and he challenged anti-Semitism and crude nationalism in the early 1990s. I spent time with Buckley in that period, talking politics and ideology. We disagreed on issues, but I was always struck by Buckley’s sense of duty to defend conservatism as a clear and coherent ideology that did not bend too far to match the politics, or the fears, of any moment. He did not mind waging a losing battle that might clarify the ideals and goals of the movement, as he did with his 1965 New York City mayoral race on the Conservative Party line, and with his magazine’s decision on the cusp of the 1972 primary season to suspend support for Richard Nixon and endorse the insurgent primary challenge by Ohio Congressman John Ashbrook to the renomination of a sitting Republican president. Buckley liked to take stands. And he was proud to challenge false prophets of conservatism. Trump is wrong on so many levels. Look for the narcissist. The most obvious target in today’s lineup is, of course, Donald Trump. When he looks at a glass, he is mesmerized by its reflection. 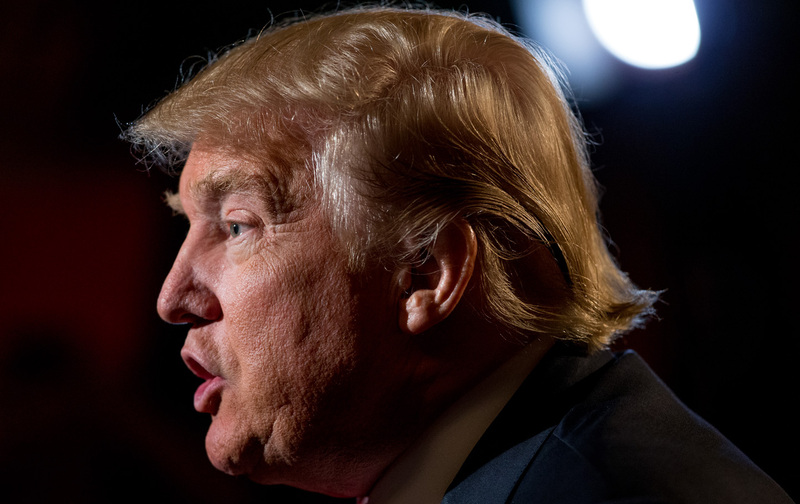 If Donald Trump were shaped a little differently, he would compete for Miss America. But whatever the depths of self-enchantment, the demagogue has to say something. So what does Trump say? That he is a successful businessman and that that is what America needs in the Oval Office. There is some plausibility in this, though not much. The greatest deeds of American Presidents—midwifing the new republic; freeing the slaves; harnessing the energies and vision needed to win the Cold War—had little to do with a bottom line. Second, National Review has maintained credible print circulation numbers (around 150,000 currently), and it has adapted with notable success to the digital age. Third, National Review is a magazine, not the “paper” Donald Trump derides with his casual fallacy.